The first time we got a glimpse of Anne and she said "Oh my God, I'm getting married!" Add to that Jasmine Curtis-Smith crying even before the ceremony started, and everyone's reactions as Anne walked down the aisle! And, of course, that kiss. The happy couple, who are currently on their month-long honeymoon in South Africa, both posted greets for each other on Instagram! Anne shared a photo of them from their wedding day, saying, "Just Like Heaven. You taught and made me believe in magic again. You took what was broken and all of its craziness, and made it whole again. Happy 1st Anniversary Mon amour. Always grateful for you and all the love you have to give. You are my little piece of heaven here on earth. Je t'aime." Erwan's message is also guaranteed to make your heart melt: "Married for a year. Nothing has changed yet everything is different. The one constant I keep is to make sure that you will always be this happy with us. No matter what happens around us or where we are in life, we will eventually be smiling through it. That smile can stop time for me. A giggle that towers above all else, puts everything in perspective and reminds me to not take everything so seriously." "We are nowhere near the midpoint of our story, but I don't think we have penned a particular destination or ending in mind. Instead of walking to something, we are happy roaming side by side, content, wandering towards the unknown, just loving life with each other." As part of his anniv gift for her, Erwan actually fostered a rescued baby elephant in Kenya under Anne's name! YES, AN ELEPHANT. Let that sink in. Tim Yap also greeted them, posting a rare photo of "Erwan smiling." 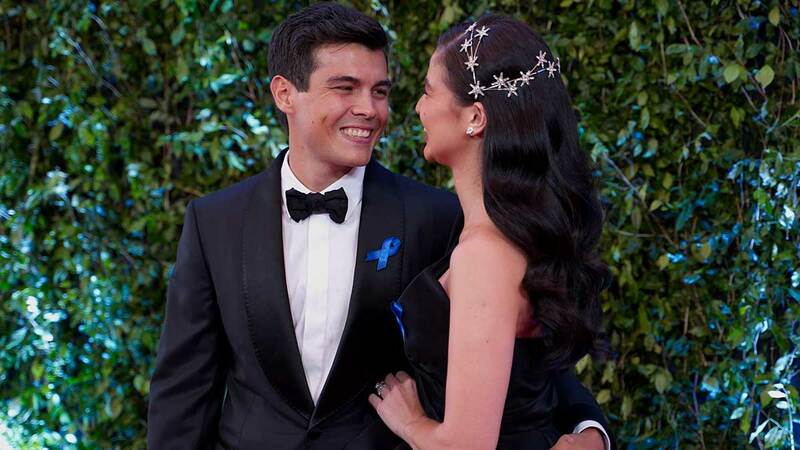 Happy Anniversary, Anne and Erwan!